Bern, 21.02.2019 - Around two-thirds of the global adult population cannot digest lactose – milk sugar – due to a deficiency in lactase, the enzyme that is required for lactose digestion in humans. Generally, consumers are unaware of whether they are able to digest the lactose contained in dairy products. However, Agroscope and Lausanne University Hospital (CHUV) researchers have now discovered a new method to measure the presence of lactase in the human body, and consequently determine an individual’s ability to digest lactose. The patent for the discovery is pending. In a study recently published in the American Journal of Clinical Nutrition, Agroscope and the CHUV have shed light on the ability of the human body to digest lactose. The joint research paper was supervised by Guy Vergères, Head of Agroscope’s Nutritional and Functional Biology Research Group, and his colleagues at the CHUV, François Pralong and Nathalie Vionnet. Lactose Tolerance – A resolved matter? Ten thousand years BCE, pastoral populations that consumed the milk of their livestock benefited from a genetic mutation, which resulted in the continued production of lactase – the enzyme required for the digestion of lactose in the body – beyond early childhood, the point at which production usually ceases. Currently, about one-third of the global adult population is capable of producing lactase. This figure is subject to significant variations worldwide, for example, 96% of the Danish population are able to digest lactose, as opposed to 15% of the population in China and 80% of the population in Switzerland. Certain people who consume milk are unaware that they cannot digest this food, whilst others may suffer lactose intolerance in the form of stomach pain or other gastric discomfort. To analyse the body’s ability to digest dairy products, Agroscope and the CHUV made use of metabolomics, a modern technology that facilitates the identification of numerous molecules that play a role in our metabolism through the measurement of their mass. Using this approach, the research team found the presence of two components – galactitol and galactonate – in the blood and urine samples collected from the fourteen participants in the study who had consumed lactose. These substances are derivatives of galactose, a carbohydrate that is produced when lactase breaks down lactose in the small intestine. 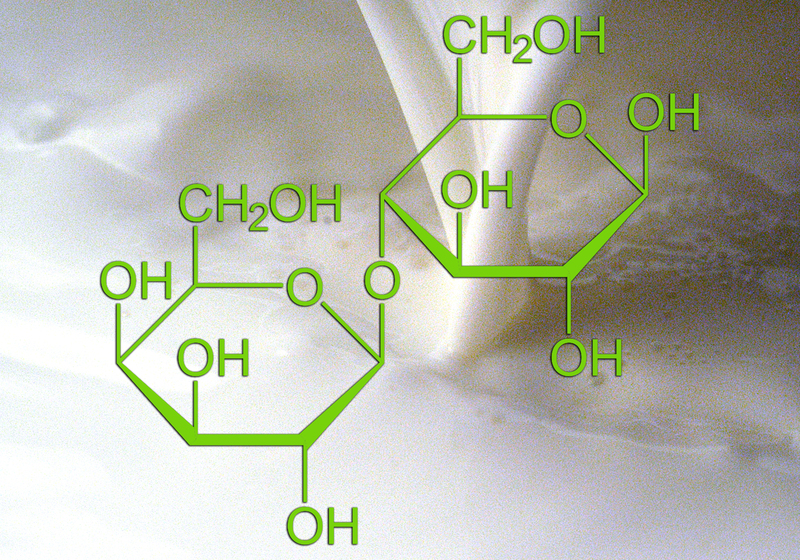 In other words, galactitol and galactonate are new biomarkers of lactase activity: these molecules reveal the presence of lactase in the human body.